Utilising Solid Works, Edge Cam and Delcam our experienced Technical Engineers can advise and assist with all aspects of your manufacturing requirements. Our computer packages and database allow us not only to download information directly from CAD design files, but also to track material receipts, purchase orders and job progress. Our machine shop is well equipped to manufacture quality components to our customers quality requirements, all machines are networked for offline programming via CAD/Cam Packages. With 22 CNC machine tools offering 3, 4 and 9 axis with live tooling facilities our machine shop is well equipped to manufacture quality components to our customers quality requirements, all machines are networked for offline programming via CAD/Cam Packages. 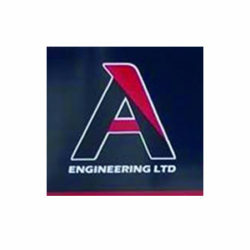 Please feel free to call us on 01352 762121 for engineering services across Flintshire, North Wales. Recently installed seven tank Blackfast Chemical Blacking system, used for in house and customer blacking this cold system provides a high quality black finish on machined steel components. Stand alone department with fully calibrated facilities for internal and customer parts inspection. Equipped with both manual and CNC Mitutoyo CMM machines we offer full inspection services including the supply of 3D printed reports. Stand alone assembly area with necessary tooling and time served personnel we can assemble to your requirements and where required supply certificates of conformity. With four seats of Solid Works and sophisticated measuring equipment we can draw and manufacture from your samples, this has the potential to either reduce costs or reduce lead times on vital parts. Our expertise in production lines can be applied to speed up your in house processes and to design out problematic or high wear rate parts. Our computer packages and database allow us not only to download information directly from CAD design files, but also to track material receipts, purchase orders and job progress. This feature, combined with our policy of employing fully time served tradespersons ensures that Crabb Engineering Company offers a cost-effective quality system to our customers. This includes the manufacture of components from small to large, using many different materials, all to customers quality system and time requirements and supported with certificates of conformity when necessary. Whatever your industry, the proven track record, expertise, and modern facilities of Crabb Engineering can ensure on time delivery of quality components to match both yours and your customer's requirements. Professional Engineering Services, call Crabb Engineering today on 01352 762121.